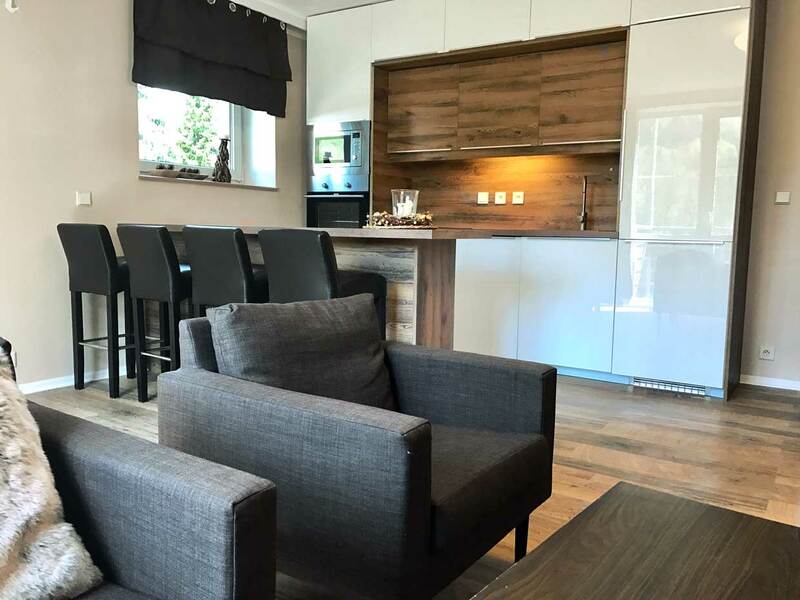 The newly renovated Gryf Apartments Harrachov are located in a quiet part of Harrachov, called Rýžoviště, just 50 meters from the ski lifts. 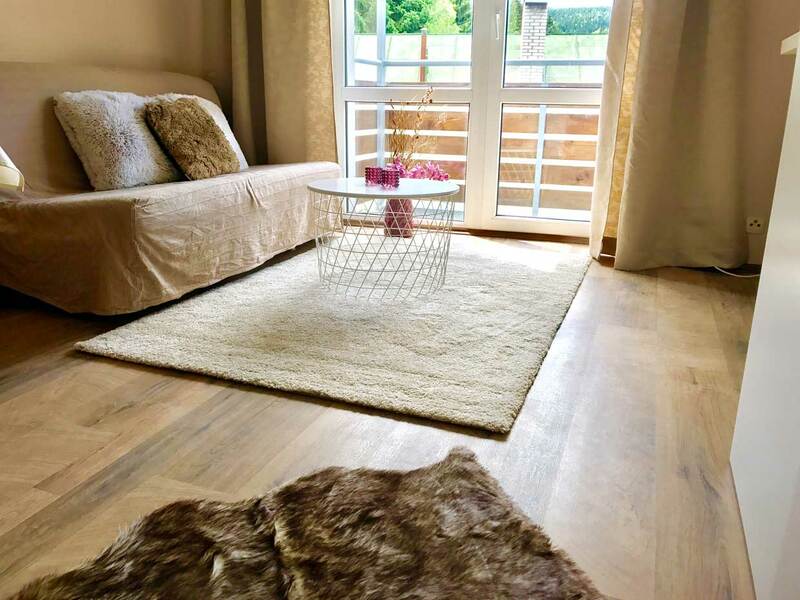 This apartment house offers accommodation throughout the year. 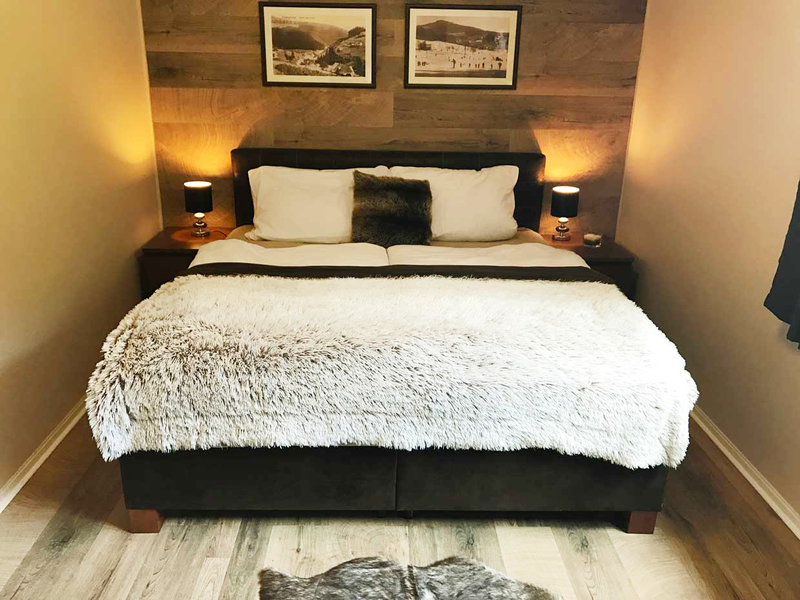 Gryf apartments during the year 2018 underwent a complete reconstruction when the original hotel was created by an apartment house offering 11 apartments of different sizes from 1 + kk to 2 + kk with a capacity of up to 45 beds. 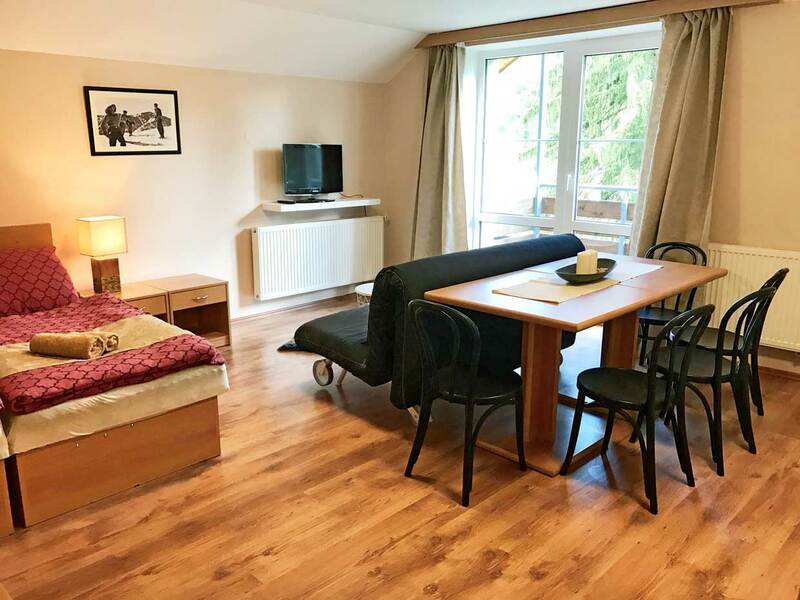 3x smaller apartment 1 + kk ideal for 2 persons. 6x apartment 2 + kk from which one apartment can accommodate 7-8 persons. The apartment house also offers a comfortable ski storage room with skis and boots and a shoe-drying room. 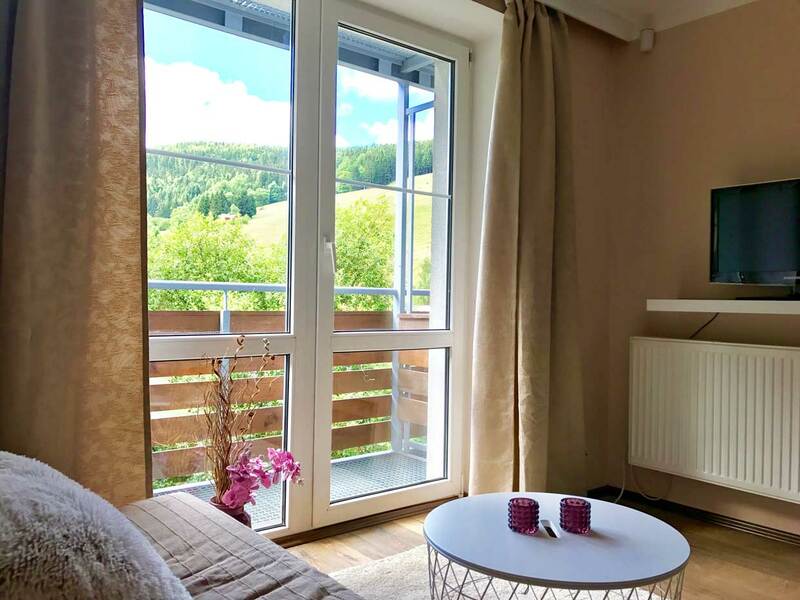 The apartments offer comfortable accommodation in the beautiful surroundings of Harrachov overlooking the ski slopes and on the way to the wonderful Mumlava waterfalls, which are 1 km away. Each apartment offers own fully equipped kitchen including a living area with a sofa and TV. The new bathrooms are equipped with a shower or bathtub. Apartments have free internet access. The apartment house has a free car park. All apartments have free wifi. Upon arrival, you will find the key in the mailbox marked with the apartment number. You can find the code for the mailbox in the email you received before you arrive. The apartments are ideal for skiing. Only 50 m from the building is the Rýžoviště four-seater chairlift, which is part of Harrachov Ski Resort and offers easy access to all slopes. There is also a ski school and a ski rental 30 meters from the house. And there are other smaller ski lifts suitable for beginners and families with children. In winter, we recommend using snow chains when traveling to the apartment. Arrival to the house is a 50m rising road. 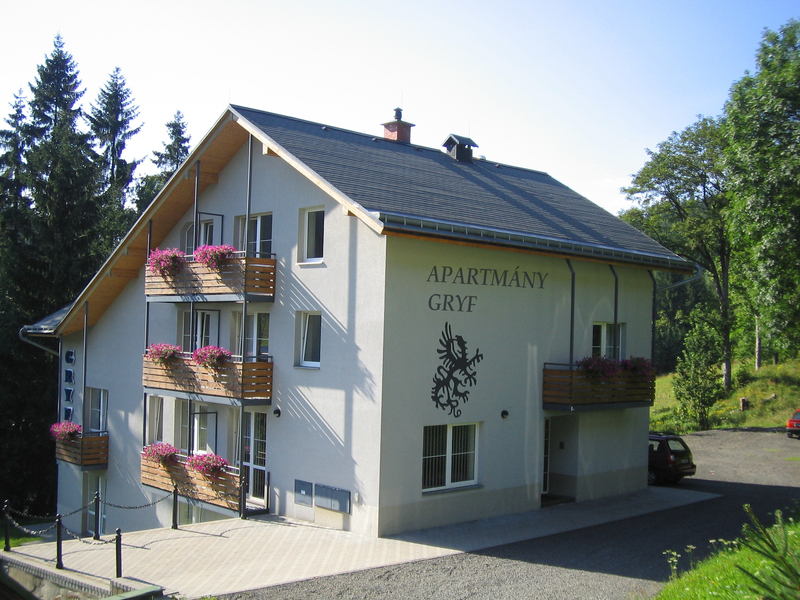 In summer, Gryf apartments are the ideal starting point for mountain hiking and cycling. Rich tourist network of marked trails and circuits according to difficulty. Thanks to its location in a quiet location and pleasant atmosphere,are the ideal conditions for a family vacation. Along the apartments there is a hiking trail to the Mumlava waterfalls.